Think back to 1970. The Vietnam War was in full swing and Richard Nixon ordered the invasion of Cambodia, spreading fire all over south Asia. The greatest band in the history of rock and roll, The Beatles, broke up, leaving millions of fans in disbelief. But in Detroit, the muscle car culture reached its peak. Never have there been so many true muscle cars than in 1970. Dozens of models were available all with the best options. They came with fire breathing engines and lots of power and style. They included pony cars with big blocks, full-size luxury cruisers and intermediate muscle legends. And most came with power outputs close to 500 HP, making 1970 was the best car year ever. However, the writing was already on the wall because, in 1971, the environmental and safety laws took over and started killing the market. But, for those 12 glorious months of 1970, muscle cars were in full power and better than ever. 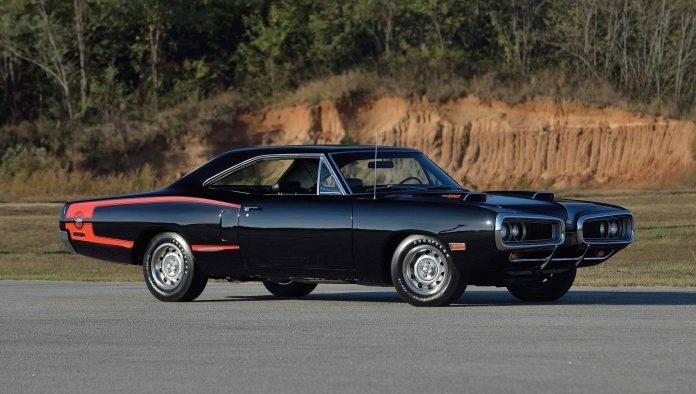 Read on to find out about the 20 most legendary, highly sought-after muscle cars from just one model year: 1970. All these cars were a colorful part of what turned out to be the best year in Detroit history. So, enjoy your long trip driving down memory lane. AMC based the Machine on the SC/Rambler model from 1969, presenting it in 1970. It came with the same mechanics, but with more power at 345 HP. Also, it had more performance-oriented options. It had a cool name, patriotic color scheme, Ram Air induction hood and a 0 to 60 time of fewer than six seconds. All that made it a reasonable choice for any street racer back in the day. And that is why it was more popular with buyers, yet they still produced it in limited numbers. In fact, AMC made just over 2,326 of these interesting machines.